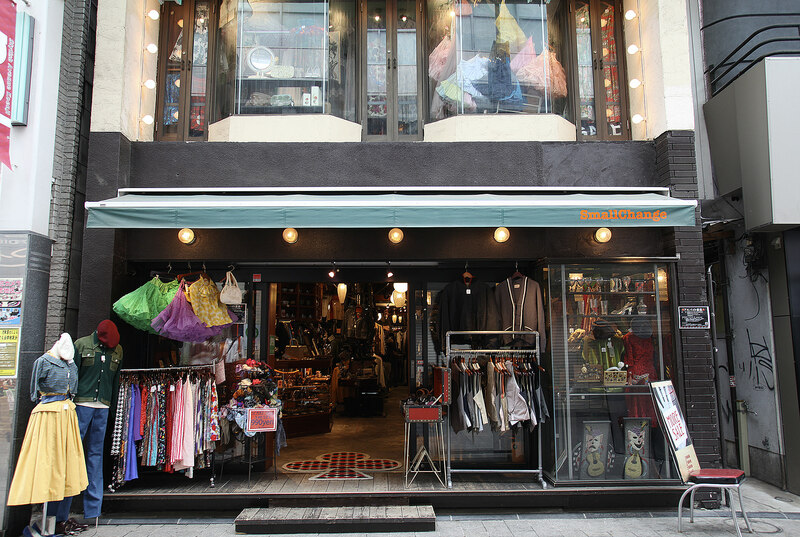 The shop is located at the end of the PAL shopping street which runs from the south exit of the Koenji Station. The 1st floor is for men’s clothes and the 2nd floor is for women’s clothes. They offer the 50’s -70’s used clothes from the UK and the US, original as well as imported items. All the products are carefully selected from rare items to beautiful products that are in perfect condition. Once you enter the shop, you will find the cash register zone which styled after a bar counter, meters of old machinery, pistols and the bare concrete ceiling which combine to display the hard-boiled style and man’s romanticism. Each item has excellent quality and they have plenty of quality products. They even have items used for films and theater. On the contrary, the 2nd floor is for women’s clothes and stocked with colorful items. They maintain high quality and volume while providing retro and pretty accessories and fashionable items that are worn by female lead characters in films. Clothes, hats, pumps, sandals as well as accessories are offered, allowing you to enjoy total coordination and feel like an actress. They will open another shop in Shimokitazawa in late March which is highly anticipated.